Football, or more commonly known as soccer in America, is the world's most popular sport. Ever since the year 1863, when a group of Englishmen formed the Football Association and invented this sport , Africans couldn't get enough of it. 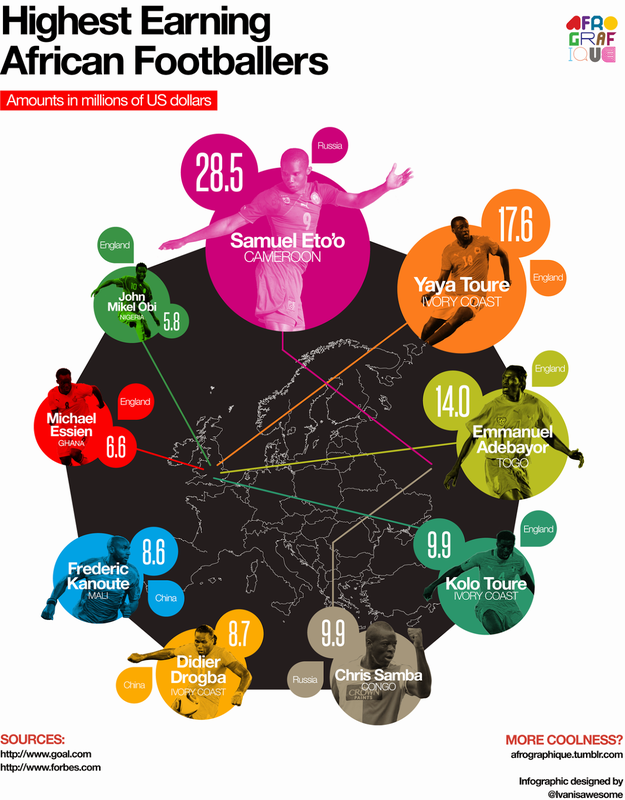 In fact, some of the world's best players come from Africa. Despite producing some of the most talented players, African countries have yet to win a world cup title. There are a number of reasons why this is the case but the biggest issue seems to be money. 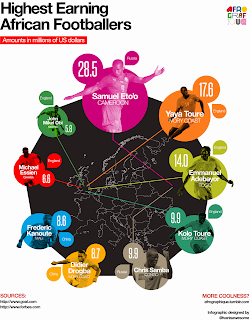 European countries have the luxury of buying the most talented players from developing countries, which makes it seemingly impossible to keep any homegrown talent for African countries. This is similar to the brain drain currently taken place in sub-Saharan Africa. Additionally, players in Europe have better access to equipment, nutrients and education, which gives them a favorable edge. Only when African countries improve their economic and social issues, will they be able to compete on the world stage. Until that happens, the football playing field will always favor the team with the most money.